I love a dance recital. Especially when BOTH of my girls are in it! 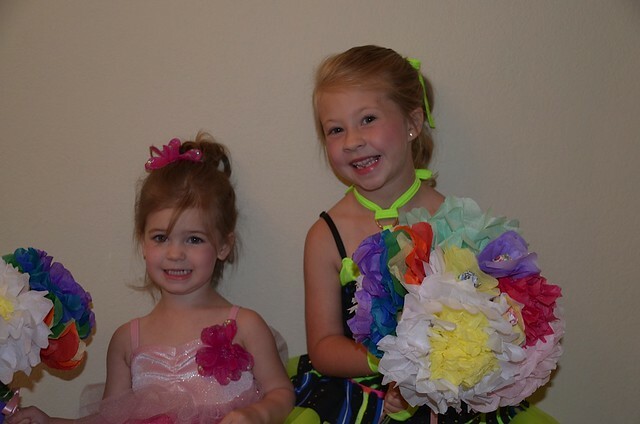 This was Ella's second year to take dance and McKenna's first. Ella did tap and ballet when she was 3 and gave hip hop a try this year. She really enjoyed it and I was so impressed with how hard she worked at it. 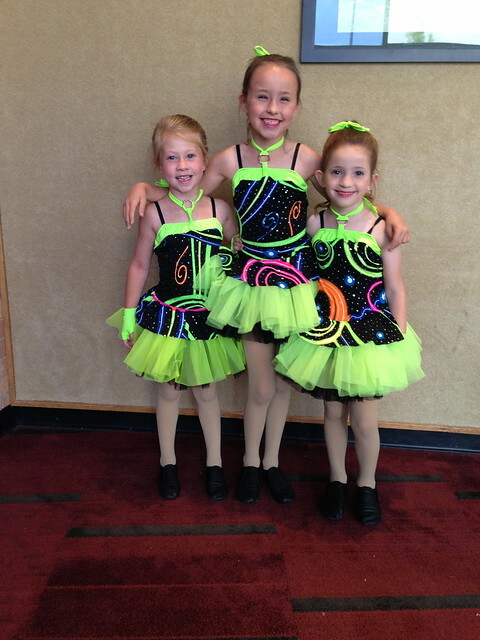 They spent pretty much the whole year working on the recital dance. Ella's dance was to the song Step Up by Cheetah Girls and I wish I had a dollar for every time it has been played in our house. McKenna in ballet class will always be one of my favorite memories. I will never forget her first class and getting to watch her. I was blown away. McKenna is my mover. My crazy kid who has endless amounts of energy. She can't sit still for even 10 minutes of a tv show, she is constantly moving from one thing to the other. In ballet class though, she was perfection. The teacher gave everyone a star to stand on in class and McKenna never moved from it. She would always look down to make sure she was directly on her star at all times. Her eyes never left the teachers and she paid full attention and pointed her toes like a pro. Watching her in dance class would make me giggle with excitement and bring tears to my eyes. She was pure joy and loved it so much. If you ask McKenna what she wants to be when she grows up she will say, a mommy and ballet teacher. 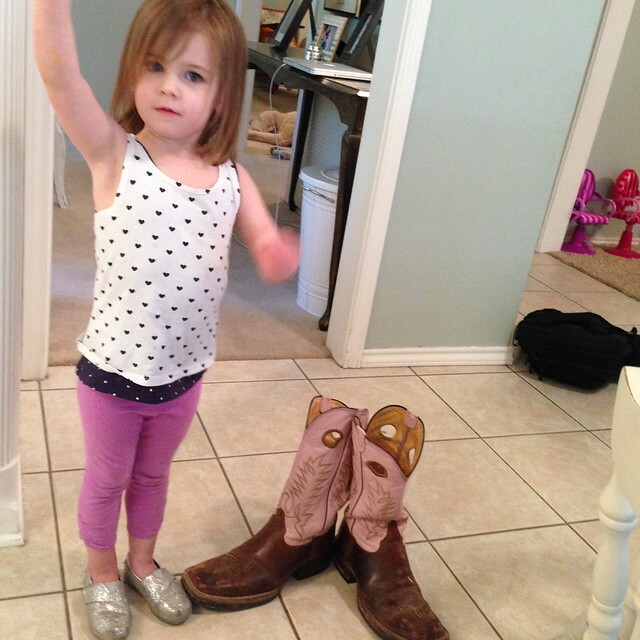 She loves to show you first position and loves making Bob's boots do it too. McKenna's dance recital song was Me and My Teddy Bear. Starting in February the dance studio closes the window so parents can't watch class anymore. They do this so that the recital is a full surprise to watch. It was kinda sad not getting to watch her in class anymore but she loved that it was going to be a surprise to me. Ella's class starting practicing their dance so early on so I had seen a lot of it already. McKenna's really was a full surprise to me and I couldn't wait. She got to dance with a teddy bear and she loved every minute of it. She smiled and jumped around and around. It was pretty cute! 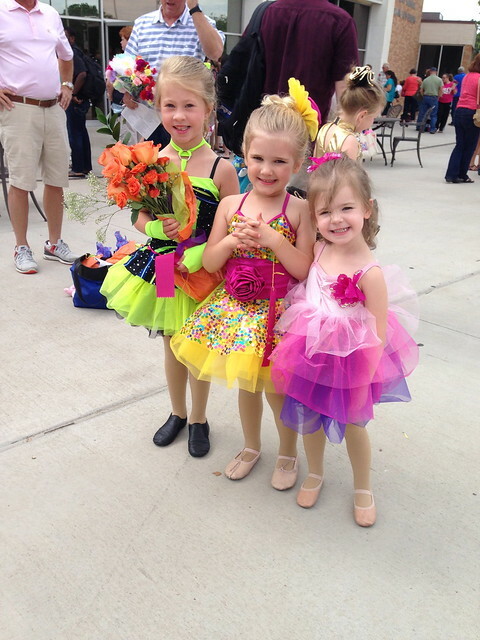 Getting flowers at the dance recital might be my girls favorite part. 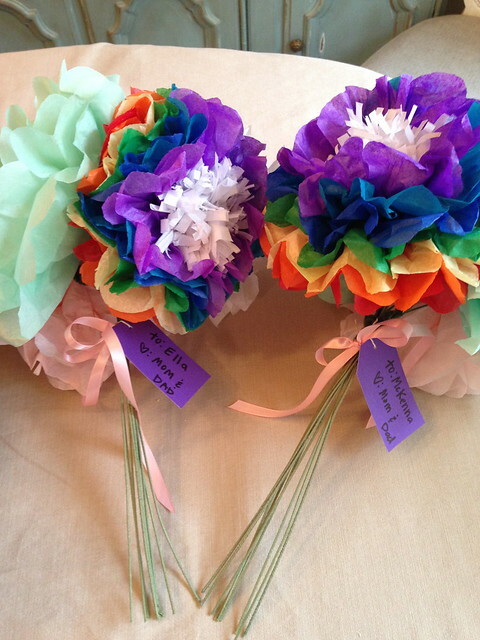 They both requested rainbow colored flowers. I had seen some cool rainbow roses at the grocery store and seen the cool tutorial where you cut the steam diagonally and soak it in water with food coloring and then cut it again and soak it in another color. I decided to go the tissue paper flower route this time. They may take longer to make but they last forever! I made two flowers using all the ROYGBIV colors. Then I went a little nuts and just kept making tissue paper flowers. I had so much fun with it. I even stuck a dum-dum sucker in the middle of the smaller flowers. Those were a life saver when McKenna sat in the audience with me waiting to watch Ella perform. 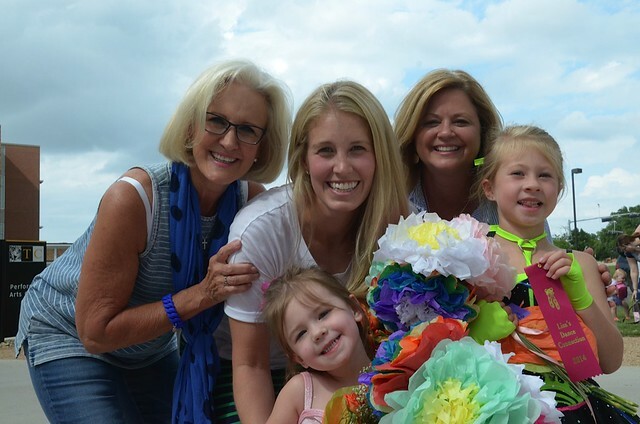 My parents and Bob's parents drove in for the recital and it was so special for the girls to have everyone there. I must give big props to them, especially the dads because we were there forever! Ella and McKenna's recitals were in two different time slots. Ella was the last performance in the 2:00 show and McKenna was the 9th performance in the 6:00 show. So from the time Ella had to be there for check in and when McKenna finished her dance, it was almost 4 hours. Way to go guys! Can't wait for next years recital! Hola guapa:) Me encanta el post y lo que enseñas!! Oh how cute!! You know I ♡♥ a recital!! Your girls are too cute!